Retaining wall cleaning, houses, roofs and more with a pressure clean and or acid wash. This process makes your brick retaining wall stand out and make a difference. 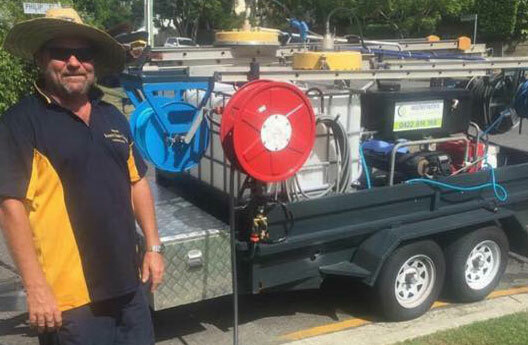 Waterworx Pressure Cleaning offers the best in high pressure brick & retaining wall cleaning in Brisbane, Ipswich, Logan and the Gold Coast, applying technical innovation and years of practice to get the best possible results on your property. Many houses and factories or offices have some sort of brickwork.With time, grime builds up from nearby motorways, footpaths and other thoroughfares. Waterworx Pressure Cleaning & Retaining Wall Cleaning aim to restore and renew your brickwork to a prestige condition making it a beauty to look at. Acid wash is available and should only be done by a professional, others can cause more damage than good. Acid washing and pressure cleaning on bricks is also a method we use to clean off any excess mortar left from a brick layer. We use high pressure commercial machines that will in most cases remove the grime easily and effectively. However we do have products that will assist the removal should we require it. We always consult with our clients and let them know what’s going to be done (and exactly how) before we start any brick cleaning, so you can be sure that our processes exceed your own high standards. Brickwork may include front and back retaining walls, fences, houses and more, Call Scott from Waterworx Pressure Cleaning & Brick Cleaning today on 0422814168.